Jason Rezaian, an Iranian-American correspondent for the Washington Post smiles as he attends a presidential campaign of President Hassan Rouhani in Tehran, Iran. WASHINGTON (AP) — A Washington Post reporter detained in Iran for more than four months was formally charged Saturday after a day-long proceeding in a Tehran courtroom, the newspaper reported. Jason Rezaian, the newspaper's bureau chief in Tehran since 2012, appeared in court almost five months after he was arrested July 22. The charges were the first against him since the arrest, the Post said. He is an Iranian-American who holds dual citizenship. The newspaper, quoting a source familiar with the case, said the nature of the charges against him were not immediately clear to those not present in the courtroom. The State Department has repeatedly raised the subject of Rezaian and other Americans jailed in Iran during talks with the government about a deal to curb Iran's nuclear capacity and ease international sanctions. The State Department tweeted early Sunday that Secretary of State John Kerry was "disappointed and concerned" with the latest developments and called on the Iranian government to drop any charges against Rezaian "and release him so he can be reunited with his family." His detention has been extended to mid-January in recent days because the investigation is continuing, the Post said. His family has hired an attorney for him, but his lawyer has not been permitted to visit him. The source told the newspaper that Rezaian spent about 10 hours in court Saturday while his case was reviewed by a judge. 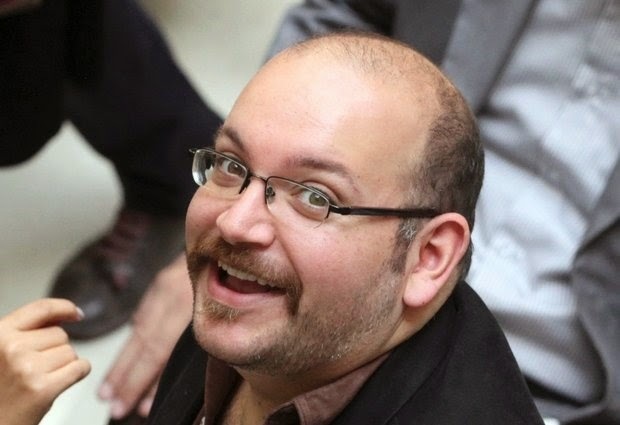 A translator accompanied Rezaian because he does not read Farsi, the source said, speaking on condition of anonymity because of the sensitivity of the case.